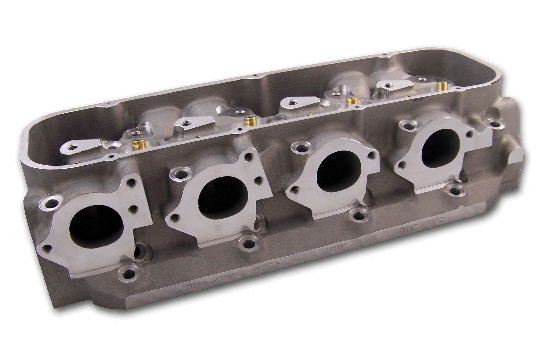 The Sniper X cylinder head is the latest BBC head offered in the Sniper Series. Designed with the most up to date technology available, the Sniper X head flows over 460cfm on a 375cc runner and over 325cfm on the exhaust! We started with the most sound casting available and then spent months developing the best port and chamber for a 24° head. 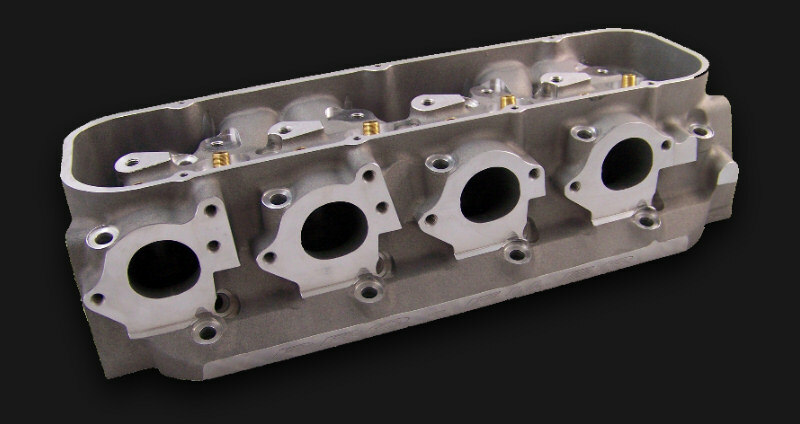 All heads are 100% CNC ported including the chamber and features a 5 angle valve job with .350" longer intake valves and .100" longer exhaust valves. The Sniper X uses standard BBC parts including available Jesel and T&D shaft rockers or you can use standard stud mounted rockers. As an added bonus, the Sniper X maintains standard BBC valve centerlines so it works with regular BBC pistons. When your ready to put your 565 cid or larger BBC up against the world, the Sniper X head is for you. The Pro-Filer Sniper X is a fully CNC machined head for maximum performance, it includes 119cc CNC Chambers and 11/32 Valve Guides. 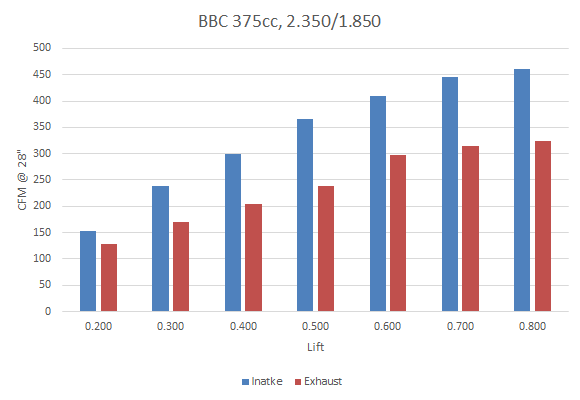 Options include your choice of 355cc or 375cc CNC Intake Runners, Steel or Copper Alloy Valves Seats and 2.300/1.850 or 2.350/1.85 Stainless or Titanium Valves. We also offer a option Valve Springs in 1.650 Solid Roller Models. 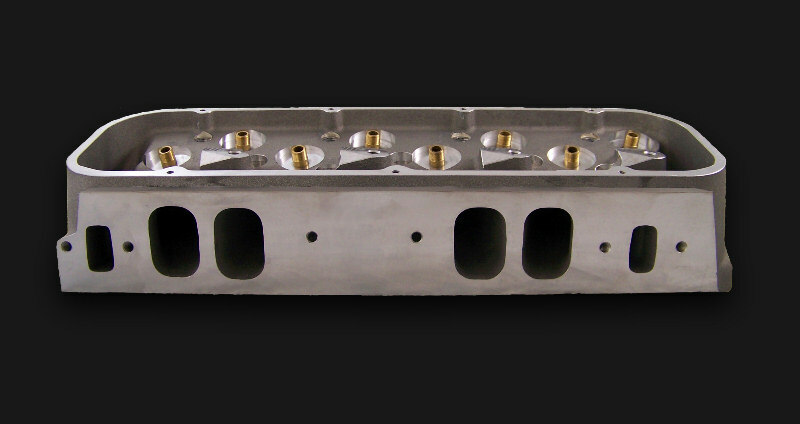 Combustion Chamber: CNC - 119cc (Milled 105cc) New design to promote wet-flow and efficiency! Valve Diameter Intake - (355cc) 2.300" (375cc) 2.350", Exhaust - 1.800"-1.850"
Pro Filer Sniper CNC Big Block Chevy Heads with 375cc Intake Runner, 2.350" Intake Valve and 1.850" exhaust valve. Flow data based on Cylinder #1 intake and exhaust port. Flow measured at 28" of depression.